While our software supports just about any single camera connected by USB, Firewire, or a capture card, special features are required for 2-4 webcams to work together on 1 computer (select one that works with our Multi-Cam software). The software is free, no other cost other than your own computer and internet access. No monthly charges, no website needed either. Includes a Logitech Quickcam Pro 9000. The Remote Control Base works with this autofocus webcam with Carl Zeiss optics. With a the remote control base you can pan, tilt and zoom this camera from anywhere on the internet . Because of the camera's autofocus feature, it will stay in focus where-ever you turn the camera! Take advantage of your Quickcam Pro 9000's unique autofocus capability -- move it around with a Remote Control base and enjoy the clear picture you get no matter where you turn it! ((PS: It works great with Quickcam Pro 5000, 4000 and 3000 too). Remote control base for webcams is a small ro-bot-ic tripod which you mount just about any webcam. Using our artificial intelligence software you can control the webcam movement from your computer from the computer where the webcam is, or any computer connected to the internet. Webcam has a built in microphone. Works with either of our USB Extenders. WHAT CAN IT ALL DO? *If you only have only one QuickCam Pro 4000, then Multi-Cam will work. *If you want to use more than one QuickCam Pro 4000 webcam on the same pc, the multi-cam system will only work if you have Windows XP with the latest drivers from Logitech. Together the remote control base and the software create a system for you which can perform basic functions of a cameraman that the TV stations use. With the system installed, your camera comes alive allowing you to pan, tilt, rotate and zoom from any internet browser whether you are at the same pc as the camera is or any other pc connected to the internet. This gives you all the functionality of an expensive professional closed circuit system but much, much more at a fraction of the cost! Mounting brackets only come in the retail box version automatically, but you can order it for $10 by clicking here. Cardboard Retail box for camera not in perfect shape, but Camera is 100% fine in hard plastic case inside cardboard box. and a Logitech QuickCam Pro 4000. You will need a PC to initially set it up, afterwards the grey/black box will replace your PC. DISCONTINUED due to Compex not making the wireless base parts anymore. 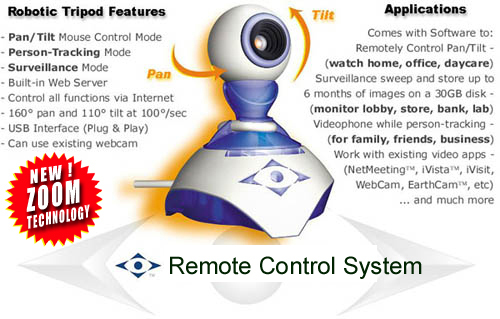 May 17, 2004: The Network 802.11gig Pan/Tilt Webcam is a new wireless pan/tilt webcam that combines our remote control system and the Compex NetPassage 28G -USB. This duo will allows you to remotely view live streaming video from a webcam while being able control the webcam wirelessly. DOES NOT have the ability to do many PC functions such as Recording because you don't have a PC. This package combines the Remote Control Base, the Compex NetPassage28G-USB and a Logitech QuickCam Pro 4000 to give you a CCD quality wireless pan/tilt webcam. The Compex NP28G-USB 802.11g/b can replace the need for pc or on your network. Both the remote control base and webcam connect to the Compex unit. The Compex unit connects (either wirelessly or via Ethernet/network/cat5 cable) to the users network or internet connection. The network can be a users wired LAN (such as if you used a LinkSYS router), a 80.2.11 wireless network, or simply a broadband Internet connection). If you connect to the internet through a network then this could be for you. You do not have to have a PC in order to broadcast your video to the internet. No need to leave a PC running all the time with this system. It connects directly to your network. If you have a network at work or at home with your DSL internet or Cable internet connections, then this can allow you to not have to have a pc running all the time. You might need a pc to be connected to your network in order to install this system initially or upgrade its firmware later. For wireless use, make sure the wireless network is up and running and the Network 802.11gig Pan/Tilt Webcam is located in its range--it should detect and connect to your network automatically. The Compex NP28G-USB 802.11g 54Mbps is a broadband router which enables it to replace the need for a pc to broadcast to the internet. 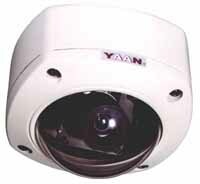 With our system the package can function as a pc free pan and tilt webcam through its webcam server capability. If you have a network router then this system communicates either wirelessly or over Ethernet cabling to your computer station so you may view video and control the camera's movement from a web browser anywhere. Included is a high quality Logitech QuickCam Pro 4000 CCD camera that it can pan and tilt at over 100 degrees per second. Compex's NP28G-USB and our remote control base USB robotic webcam bundled package heightens standard webcam technology with camera movement and wireless mobility, enabling a wider range of uses for the consumer. Question: Can this be connected directly to my cable/dsl modem without a separate router and not use a pc? Answer: Yes, but you would still need to use a PC to help install and upgrade the firmware of the Network 802.11gig Pan/Tilt Webcam. After the install/upgrade of the firmware then you can remove the pc and connect the this system to the cable modem directly without a separate router. This will allow you to be able to monitor a room without a PC running all the time. IMPORTANT: We are working on supporting this network system in our main remote control base software and also in Multi-Cam software but until then, none of the additional features like the website listing, tracking, zoom, motion detection, cell phone access, will work. Viewing and moving the camera are the main applications of the network camera right now until we get it all updated. Do you already have a Compex NP28G-USB router? Then just get the remote control base and Click here and also Click here to update the router's firmware. (Note that it will stop functioning as a router). Question: It mentions Network. I just have a home with a cable modem and Lynksys Router to my two computers but the Lynksys router has 4 internet ports and I do not use them all. Will it work with my set up? I know it says it does not use a computer, but will it work with my router? I have 2 internet ports going to 2 different computers and have a free internet port open. Answer: Yes, you would just connect the WAN port from the NP28G to a free port on your Linksys router. Then the NP28G will get an IP number from your Linksys router, and you will be able to see and control your Network TrackerCam from any computer on your LAN. You might have to connect to your Linksys router's DHCP client page to find the IP number of the webcam. 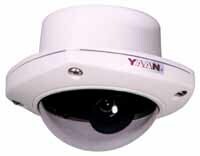 Then you would browse to that IP number from Internet Explorer to view and control the camera. Question: I do not have a router at home but I have my pc connected directly to the cable modem. Can I remove the pc and use the Network 802.11gig Pan/Tilt Webcam instead? Answer: Yes, but you would use the PC to help install or upgrade the firmware, and then remove the pc and connect this system to the cable modem directly without a router. This will allow you to be able to monitor a room without a PC running all the time, or buying a separate r router. Question 1) Since it does not run on a PC, is there an ability to invert the image if the system/webcam is installed upside down? Answer 1) Yes, when you view the camera, there is a Properties button that gives you access to most of the settings available in Windows for the Logitech QuickCam Pro 4000, including horizontal and vertical mirror. Question 2) Is there anyway to connect multiple system/webcam to the network 802.11g box? Question 3) Is there anyway to run multiple network 802.11g system/webcam systems in the same office? Question 4) The 802.11g system. Can it be hooked up to the DSL model using a cable and not wireless modem? Answer 4) Yes, the Network system can be used in wired or wireless mode. If there is a connection from its WAN port to another router or to a cable/ADSL modem, it will use that connection instead of the wireless connection. Question 5) How long and what type of cable is between the 802.11g box and the system/webcam? 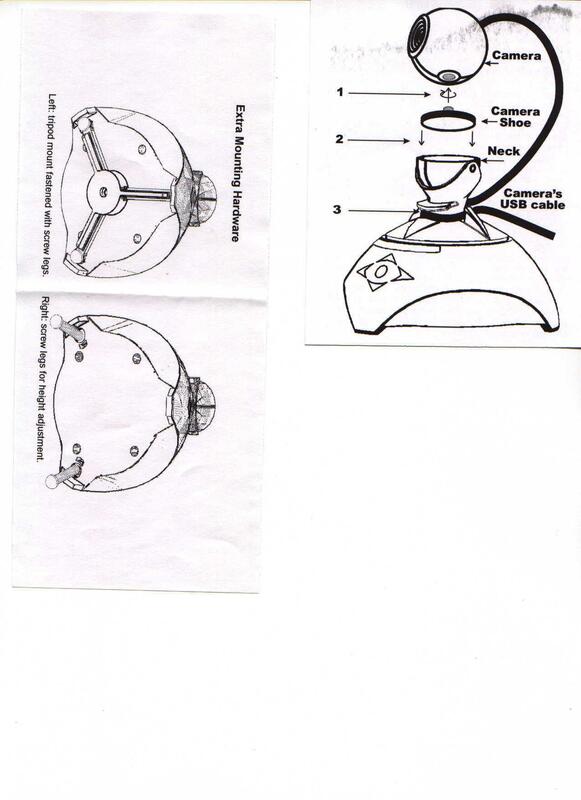 Answer 5) The standard cables are 6', but our extenders will work with to extend the distance to the camera. Usually it's easier to extend the ethernet to the location and put the whole Network TrackerCam at the location. Exact same remote control base as the one above but a value priced webcam instead. Remote control base for webcams is a small ro-bot-ic tripod which you mount just about any webcam. Using our artificial intelligence software you can control the webcam movement from your computer from the computer where the webcam is, or any computer connected to the internet. This gives you all the functionality of an expensive professional webcamera and much, much more at a fraction of the cost! Most of the Same features as all the above systems except a better quality camera (ADS USB Turbo 2.0) and also this camera works with out Multi-Cam Software. While our Multi-Cam Software supports just about any single camera connected by USB, Firewire, or a capture card, special features are required for 2, 3 or 4 cameras to work together on one computer. This one does contain those special features. Does not have a built in micro-phone. Does not work well with our lower priced USB extenders. Same features as the Logitech QuickCam Pro 4000 but some peoples opinions are that it works a little better in lower light. This camera works with out Multi-Cam Software. Works with either of our USB Extenders. While our Multi-Cam Software supports just about any single camera connected by USB, Firewire, or a capture card, special features are required for 2, 3 or 4 cameras to work together on one computer. This one does contain those special features. Does not work with the Compex system.